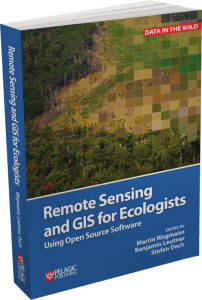 This is a book about how ecologists can integrate remote sensing and GIS in their daily work. It will allow ecologists to get started with the application of remote sensing and to understand its potential and limitations. Using practical examples, the book covers all necessary steps from planning field campaigns to deriving ecologically relevant information through remote sensing and modelling of species distributions. 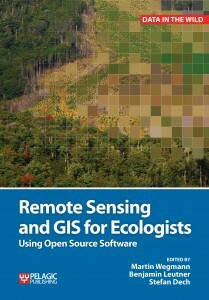 This books explains how to apply remote sensing and GIS to ecological research projects. It will provide practical examples covering each step, from planning through to remote sensing and modelling. Only Open Source software will be used for the examples such as R and QGIS. 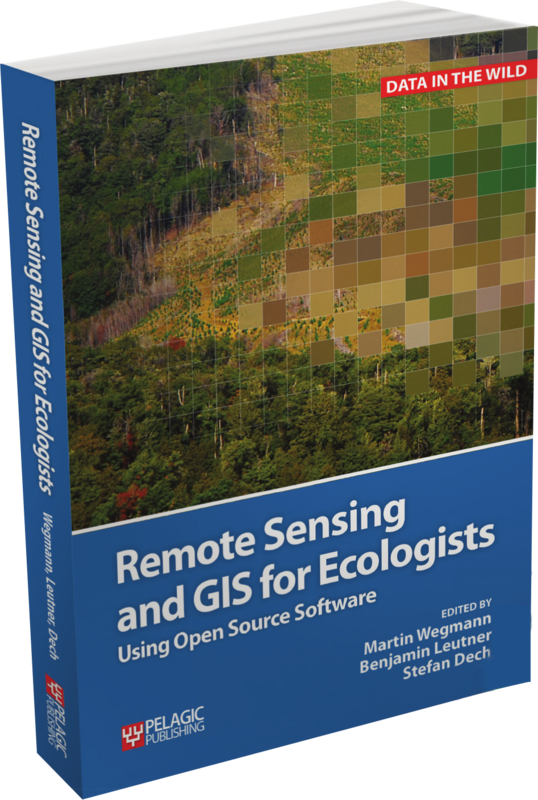 “…..With this book, Wegmann, Leutner, and Dech […] cleverly couple an exploration of satellite remote sensing with step-by-step immersion in the open source GIS and statistical analysis tools that allow one to make sense of the remote sensing products. In my experience, this book is unique in walking the ecological reader through the actual steps necessary to create their own remotely sensed products. It is more than an introduction to the principles of remote sensing and GIS. It is guide to get the reader going, and using remote sensing and GIS to create focused products. The text also helpfully points to selected websites, articles, and books for deeper informational dives and recommends ways to connect with the geospatial community. I applaud the authors for advancing all ecological disciplines with this text. Through this guidebook, they open the doors to the geospatial revolution that is taking our science and its applications to new heights. All practical examples in this book rely on OpenSource software and freely available data sets. Quantum GIS (QGIS) is introduced for basic GIS data handling, and in-depth spatial analytics and statistics are conducted with the software package R.
Readers will learn how to apply remote sensing within ecological research projects, how to approach spatial data sampling and how to interpret remote sensing derived products. The authors discuss a wide range of statistical analyses with regard to satellite data as well as specialised topics such as time-series analysis. Extended scripts on how to create professional looking maps and graphics are also provided. 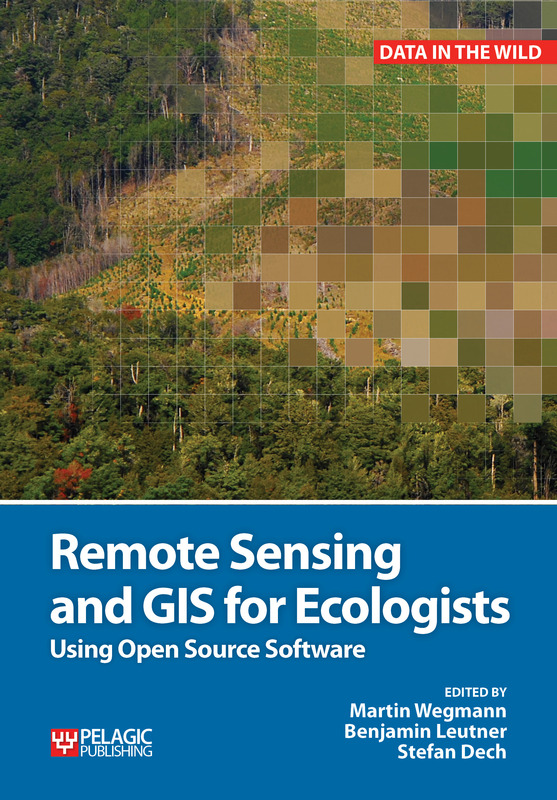 This book is a valuable resource for students and scientists in the fields of conservation and ecology interested in learning how to get started in applying remote sensing in ecological research and conservation planning.